Bath Rugby have banned all players from celebrating early after Freddie Burns’ costly error against Toulouse on Saturday afternoon according to a report by The Telegraph. The club have said it’s no longer acceptable to celebrate before the ball is grounded after Burns had a certain try prevented by Maxime Medard because of some premature showboating. Burns pounded his chest and blew kisses to the ground after breaking through the line and running under the posts. But Medard managed to get a hand to the ball as Burns attempted to touch it down. 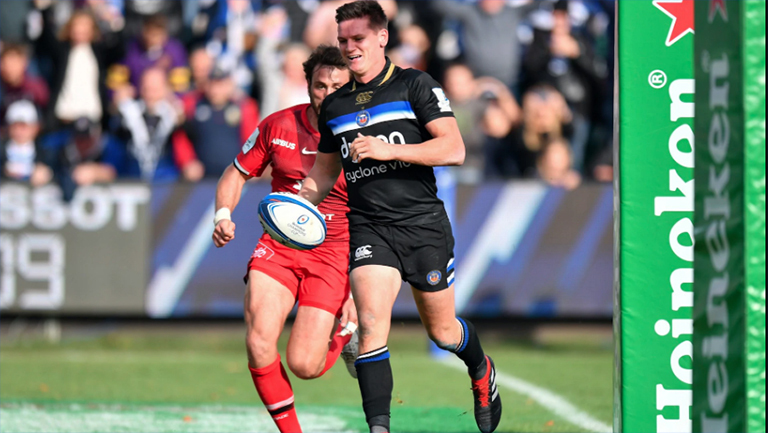 The fullback has since come out and apologised for his mistake, but it seems Bath aren’t taking any chances – making the entire team aware that they will not be tolerated going forward.